Free application from App store for iOS devices or from Play Store for Android devices. Sell to the world with the E-commerce service of Halkbank. E-commerce gives you the oportunity to sell your products throgh internet making your target group bigger than you can imagine. Minimaze your fixed costs, technical investments, Rents, sale personel etc.. and Aplly for E-Commerce to increase your income. You can sale 24/7 and make wider your range of products. Fullfill the application and send or contact us at e-commerce@halkbank.mk. 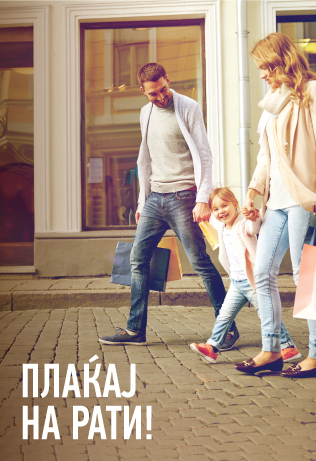 Copyright 2014 HALKBANK AD Skopje. All rights reserved.